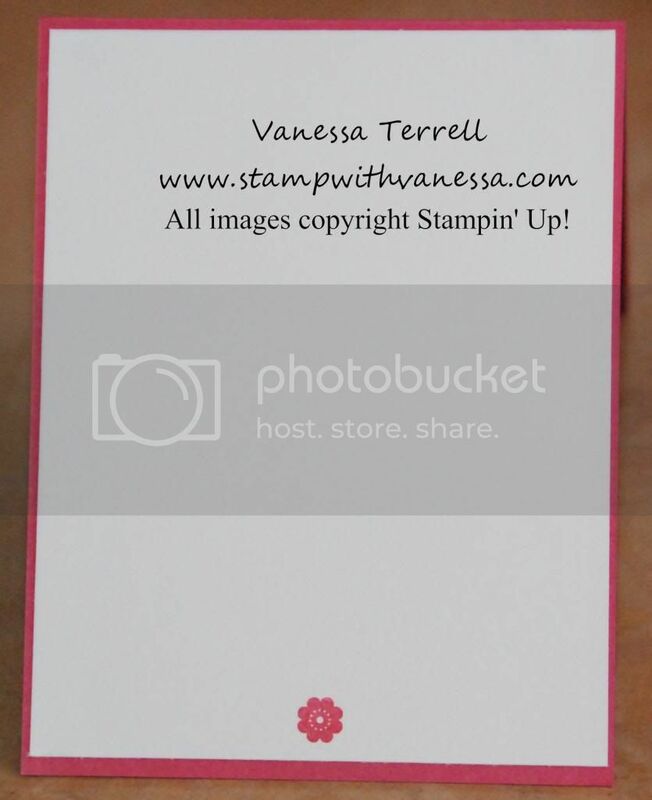 Stamp with Vanessa: Daydream Medallions meets Broadsheet Alphabet and Happy Mail! Daydream Medallions meets Broadsheet Alphabet and Happy Mail! Hi friends! 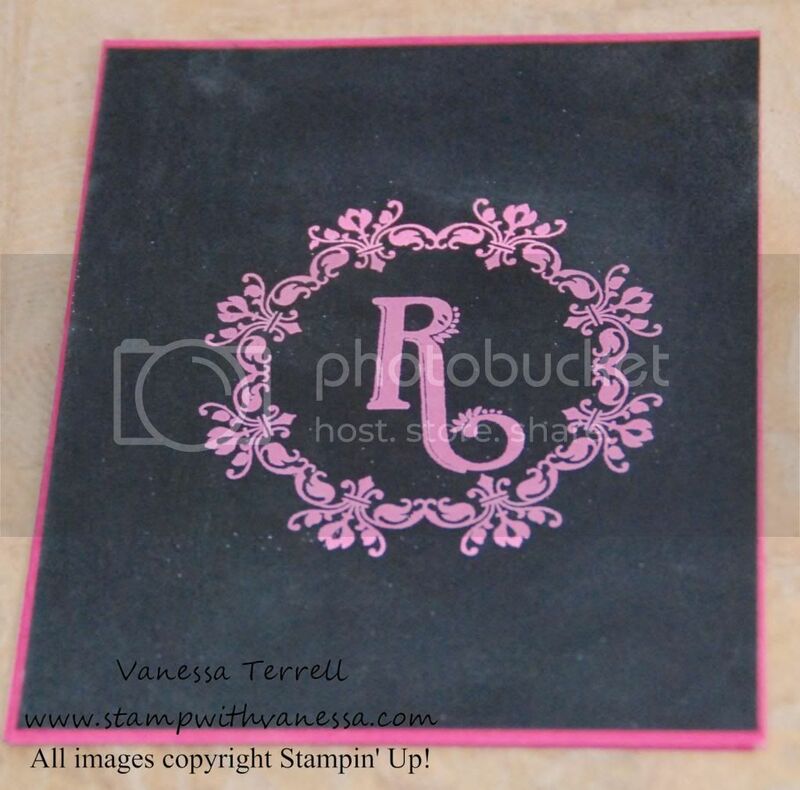 I've been making lots of monogram note cards lately and the Daydream Medallions stamp set does a good job with that! I needed a birthday gift and I thought I would just make a set of note cards since I knew the person liked writing. 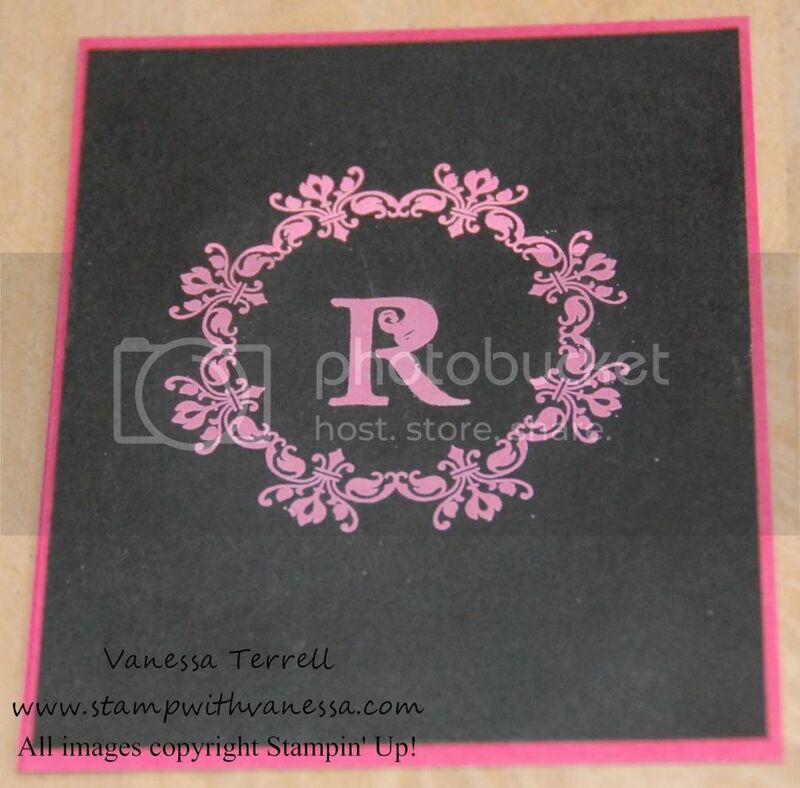 Normally I use the Lovely Letters stamp set when creating monograms but I thought I would try something different! I went to one of my favorite colors Melon Mambo to create the set as I said I normally use Lovely Letters, so I thought I would do a comparison to see which I liked better. Maybe you can help me decide? Which alphabet do you like better? I like both, I'm having a hard time deciding which is my favorite, so in the end I decided to make a sets of each and she loved them! Let me know which one you prefer! How about some Happy Mail in your mailbox? I'm starting something new. I'm working on building my email list but at the same time I need to send out the cards/projects that I make. They don't always have a home. What I would like to do is randomly pick a person each day from my subscribers list and send you some happy mail! Would you like that? I think it would be fun to receive something cool that you weren't expecting, also I might create something that wasn't shared on my blog! So subscribe to my email list and forward this on to any one you think might be interested! Thanks for stopping by! Don't forget to subscribe to my newsletter/email list! I use to do a lot of stamping years ago. I still have all of the products. Should get them out some day and do some more of it. I use to enjoy doing it. This is really new territory for me, but I like the first one better (Lovely letter alphabet). To me had more balance :) Good luck! I love both versions, but Lovely Letter is my favorite alphabet set. Also love the color combo!